The Kurdistan Regional Government (KRG) will help facilitate the development of the private sector in all areas, especially the tourism sector, Prime Minister Nechirvan Barzani affirmed on Sunday. 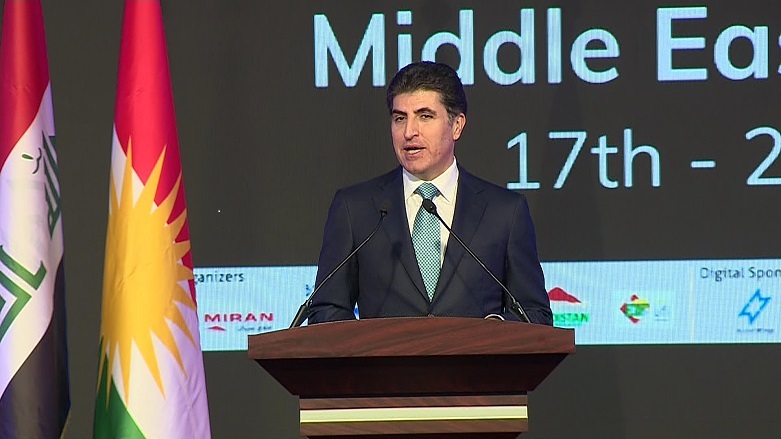 Barzani’s statement came during a speech he gave at the 2019 Middle East Tourism Expo (METEX), following the inauguration ceremony of the event, which will go on for four days. In attendance were various international diplomats, Iraqi and KRG officials, and reportedly close to 250 companies from 20 countries. Focusing on the opportunities for the tourism sector, Barzani pointed to the welcoming weather, the various historical sites and resorts throughout the Kurdistan Region as appealing to would-be visitors. Most important among the various aspects of the Kurdistan Region that would appeal the most to tourists, Barzani explained, is the “hospitable,” “tolerant,” and “peace-seeking” society. Seeking to boost the economy, the KRG “will rely first and foremost on the private sector to develop tourism,” in the region Barzani stated. He explained that the trials Kurdistan has experienced from 2014 to 2018 – financial difficulties and war – restricted the KRG’s ability to fund projects to improve Kurdistan’s infrastructure and services. The Kurdistan Region must do everything “so that we generate most of our revenue, not from oil or natural resources, but from the sectors of tourism, agriculture, and industry,” the Prime Minister stressed. He affirmed that “the [KRG] would provide all the necessary assistance and support” to pave the way for a thriving tourism sector and attract local and foreign investment to the Kurdistan Region.